A long time friend of the Shred-on-Site team has recently taken part in the New York Half Marathon to raise money for cancer research charities. Following the heart-breaking death of his young daughter to Leukaemia some years ago, he decided to run to raise money for a charity close to his heart to help other suffering with the disease. The New York Marathon is a huge annual event, which has been going for almost 50 years. Each year over 20,000 runners take part, ranging from elite athletes to amateur runners, and of course a wide range of runners raising money for their chosen charities. Youth runners are also able to take part, and the course passes many famous sites including the green of Central Park and the busy city atmosphere of Times Square. The British Police team departed from Terminal 5 in Heathrow for the Half Marathon, which is an annual event that many police officers take part in. They were escorted by the British Airways cabin crew as well as the airline’s own bagpipe band. The British police team are becoming more and more well-known each year, and are known as “Jack’s Pack”. You can watch the departure through the terminal here. Cancer affects a huge percentage of the population, with over 46% of deaths in the UK being related to the illness in 2014. With so many families being affected, Shred-on-Site is just one of many companies who have decided to donate to raise both awareness and money for such an important cause. Watch the team in action running the New York Half Marathon here. 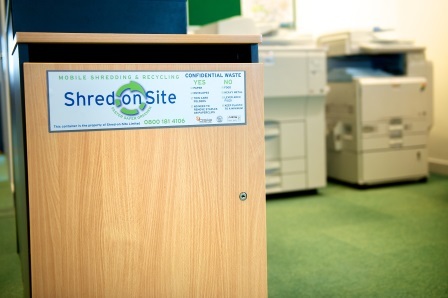 For details about how you can donate, or to keep up to date with the causes that Shred-on-Site are funding, read the Shred-on-Site blog or give the team a call today on 0800 181 4106.